Is AT&T secretly covering up NFC support in several of its smartphones? I think so. 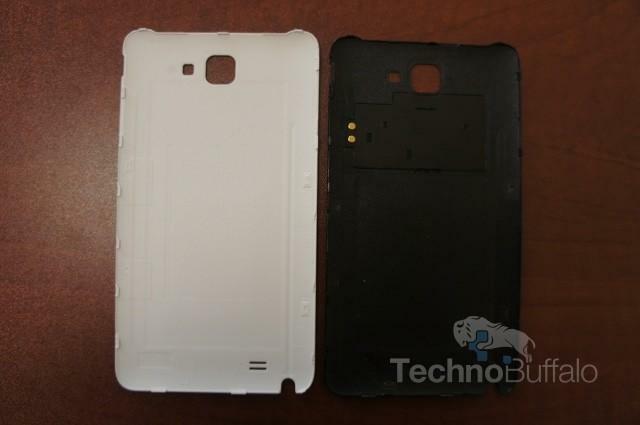 The carrier launched both the Samsung Galaxy S II and the Samsung Galaxy S II Skyrocket, which have “near field communications” written clearly on the back of the battery. When asked whether or not that implies the phones actually have NFC, we’ve been told by Samsung that support is simply not available. In addition, we received a review unit of the Samsung Galaxy Note LTE on Tuesday and immediately noticed a two metal dots on the battery cover. Those metal spots could be used for inductive charging, but I think it’s more likely that it’s NFC related so I reached out to both AT&T and Samsung for comment. An AT&T spokesperson said “NFC is not available on the Galaxy Note,” but did not specifically say that it’s not there. Our theory is that the technology is lying dorment… for now. Why? If NFC was active on AT&T’s smartphones users would no doubt find a way to use it to interact with Google Wallet, which is a competitor to a mobile payment project created by T-Mobile, Verizon Wireless and AT&T called Isis. It’s no wonder that Verizon Wireless is blocking Google Wallet on the Samsung Galaxy Nexus. The international Galaxy Note's battery cover doesn't display the same metal dots as AT&T's version. Verizon CEO Lowell McAdam said late last year that Isis will begin to roll out its platform later this year, and we expect that it will no doubt be available in a number of the same places that Google Wallet is accepted. In New York City, for example, Google Wallet users can already make purchases with their smartphones in Walgreens, Subway, from NJTransit ticket machines and from a number of other retailers. My theory, and it’s purely a conspiracy theory since both Samsung and AT&T have refused to confirm the existence of NFC in recent smartphones, is that AT&T has been secretly selling smartphones with full NFC support. That way when Isis finally does begin to roll out, AT&T can surprise its customers by telling them that a number of existing phones, such as the Galaxy Note LTE, already support the mobile payment service. Isis adoption will be more immediate, since AT&T won’t have to wait for users to buy new phones to begin making purchases, too. Am I crazy? 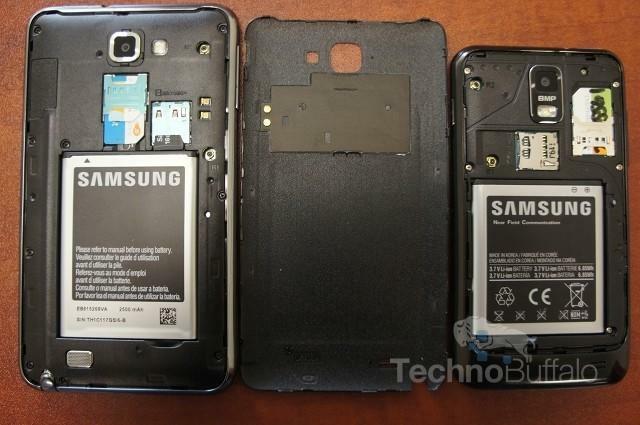 Why else would the Galaxy Note LTE have metal dots on the battery cover? Sound off in the comments below.